Sabbe Interior Design [the blog]: What the Craft!? Cheesy title, I know. I had to use it in a sentence. It was supposed to be the name of my booth at the Cooper Young Festival this year, but I didn't get my application in on time. But on to more serious matters. I have a very important public announcement to make. If you craft and you blog...choose your words very carefully and give credit where credit is due...allow me to explain. So back to the man watching you...I am sitting at my desk on this typical Monday morning when suddenly there appears a FedEx package. Well two FedEx packages, but I was expecting one of them. I tear into the unknown package and see what looks like a fabric sample...of the Maharam fabric that I mentioned below. I did not mention in my previous post that this fabric is so exclusive (and expensive) that they do not even sample it like typical fabrics. You can order a loaner piece, that you must return to your rep asap. So my immediate reaction is What the heck, I don't remember asking Jean Marie for this...I've got to get this back to her before I mess it up and owe her $250. I go to take the fabric out of the box and realize it's a pillow....and there is a note inside. See above. Before today I honestly didn't know much about Michael Maharam. Thanks to the Internet, I've been able to do a little research of my own. He wouldn't like the picture of Zoe on my desk. He has an awesome appreciate for design and the art of textiles and has even been able to get his product into Moss, New York's leading design emporium. And unlike our Republican candidate for President, he uses the Internet. To Mr. Maharam: If you happen to Google yourself or your company today, thanks for my pillow! I don't see myself ever being in the fabric manufacturing field and I've never sold any of my crafts. But if you are ever looking for a no-name-wanna-be fabric designer for your next line, send me another letter. I've got a million ideas and seeing as I'm not in the MoMA, I'm probably the best bargain around. I'll continue to practice my craft, inspired by your craft, in the meantime. Thank you, thank you, thank you....you made my day. To anyone else who reads my blog (which I've always assumed was about 5 people): The Mahram Layers collection is $250/yard because it's allot of hard work, trust me I've tried it. I'm on my third attempt with no real resemblance. Thank you Hella for your inspiration...I'm going to try really hard to specify your product to legitimize this whole experience. P.S. 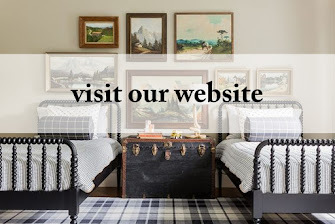 Michael Maharam, the CEO of Maharam, said I had a cute blog!